I’ll never look at our postal carrier the same. 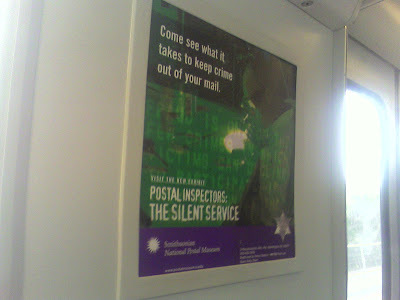 What could be more exciting than a postal exhibit? Postal Inspectors: The Silent Service. < And today, some shocking news. Wow! The picture that got me was the one of the postal inpectors with guns. Going POSTAL was never so meaningful.